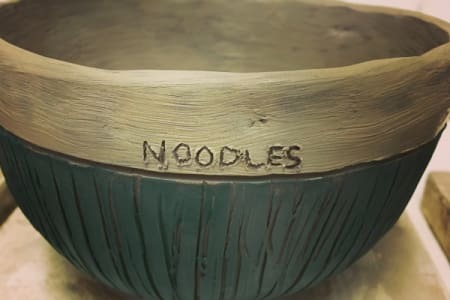 After training at Camberwell Art School CWC Ceramics was formed in 2011. 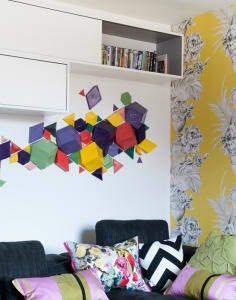 They have been creating ceramic wall installations for public and private collectors both nationally and internationally. 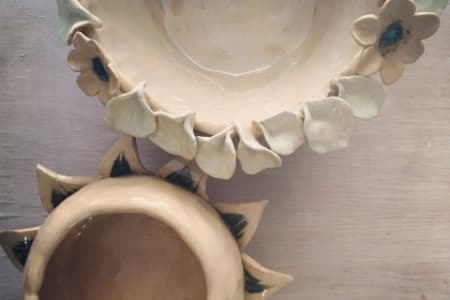 Camilla Webb Carter is the owner at CWC Ceramics, and she is well known for her work. 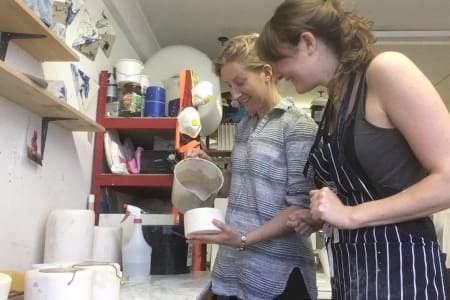 She has begun offering ceramics workshops to the public and currently offers flexible bookings for one-to-one, couples and groups of four people to attend private and exclusive classes where she teaches students the basics of working with clay, including a range of moulding and decorating techniques. 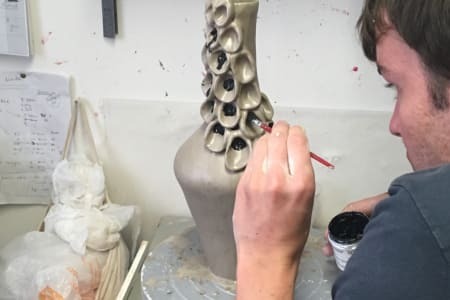 From preparing the clay, to creating functional pottery or decorative sculptures, Camilla is the name in ceramics, therefore, her classes are popular and not to be missed! The Introduction to Handbuilding Pottery course was great fun! I went with my family members (where the oldest member was 47 and the youngest 12) and everyone thoroughly enjoyed it! Camilla is an amazing teacher who is always there to help in case someone needs it. 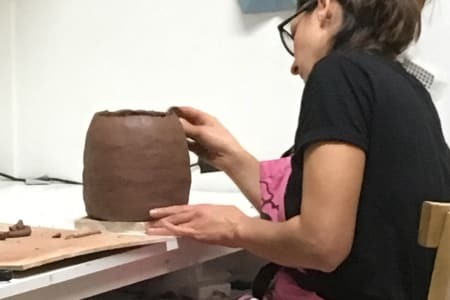 One of the best parts of the course is its flexibility, you learn the basics of handbuilding pottery but once you understand them you can be as creative as you want, and Camilla was always able to help realize the vision into reality. I could give her a 10 star if that's possible!! She was extremely helpful and lovely. She helped me out a lots with pottery tricks and knowledge!! I definitely recommend her for your next pottery and ceramic hand building class!!!! Camilla was a great tutor. 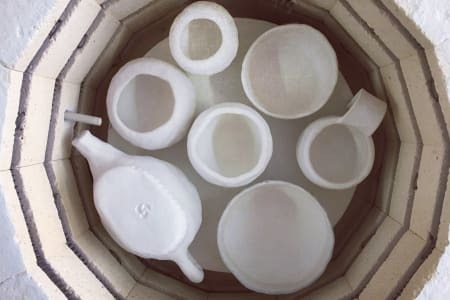 She's very knowledgable about ceramic building and styles and in two hours I produce two pots I'm really pleased with - as a beginner. It was a very fun class. 2 hours went by very quickly. Camilla was very helpful and is just a lovely person. The only pro tip is that the studio space is freezing on a cold day - so make sure you dress warm. I'd definitely recommend this class and her longer 5-week course.